It is that time of year where we are spending a ton of time outside! It has been hot and humid around here. Not many places have AC at the beach and lets face it even if we did why would hang out inside all day when its so nice out. 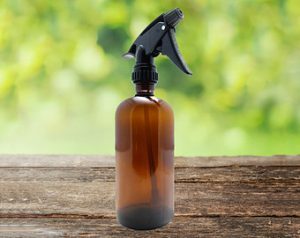 So I whip up this little spray that gives me a cooling sensation on those particularly warm days! This cooling spray is so incredible because both the witch hazel and the peppermint essential oil are naturally cooling. I love how refreshed it makes me feel. Aloe Vera– Aloe is great for skin since it is rich in nutrients and antioxidants. It is moisturizing without being oily. Witch Hazel– It is naturally cooling and great for skin. It is commonly used to remove excess oil and fight blemishes and blackheads. 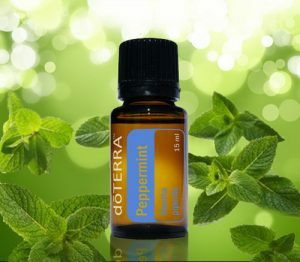 doTERRA Peppermint Essential oil– The peppermint adds an extra kick of cooling sensation. Combine all ingredients in the glass spray bottle. Spray on back of neck and over body as needed to help cool down. I hope you enjoy this amazing cooling spray :) Let me know if you have any additional questions.